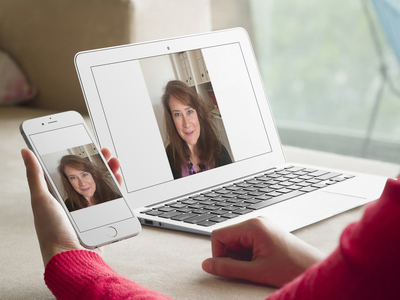 Read my guide to Preparing for Your Video Call. If you would like to know how to maximise the video call quality read my Guide to Using Ethernet. After your assessment and before therapy proper starts, read my Social Media and Communications Policy and Audio Visual Recordings Policy.. Complete the Client Details Form. This is so I have your contact info. Helpful Aspects of Therapy Form. This will take about 5 to 10 minutes and is best done immediately after the session has finished. Try not to leave it more than a day later otherwise you won't remember. As well as helping you to review what we have done which will help you to remember your new learning better, it also gives you a chance to give me some feedback. If I know what I'm doing is working, I can do more of that. if I know something I'm doing is not helpful, then I can do less of that and we can see whether we need to switch direction. By the way, this form has been used in lots of psychotherapy research studies and was created by Robert Elliott (2011). When you complete it I will be notified. If you would like a copy please let me know and I can send you one. While the information is stored on an encrypted JotForm server, it is safer if you do not use any personal identifying information. I will have given you a client ID which you should input instead. 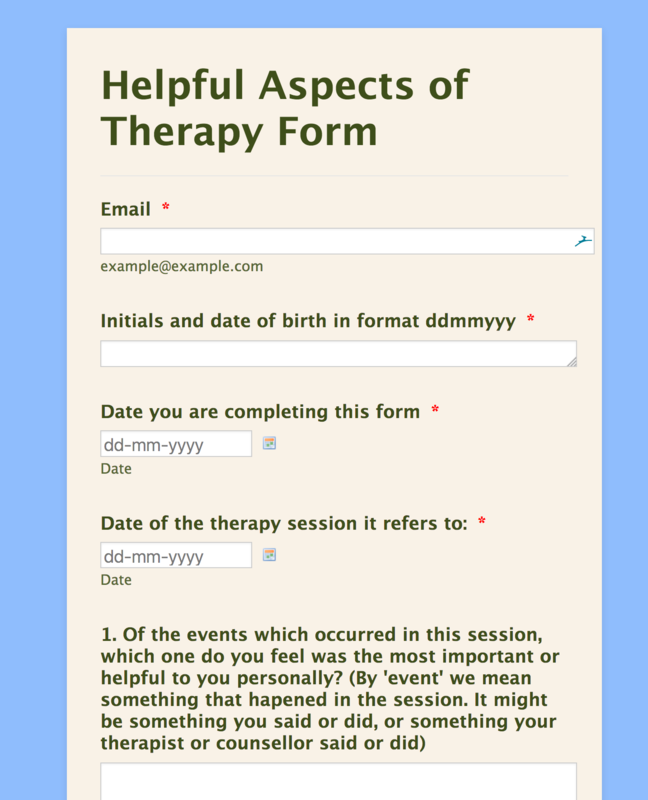 Click here to complete your Helpful Aspects of Therapy Form. 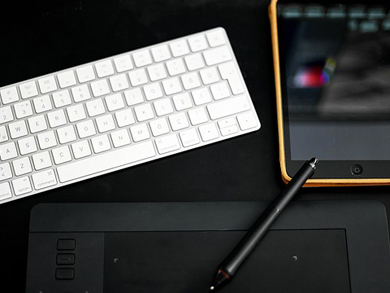 Digital resources and websites specifically for young people. Download here. Kazantzis, N., Whittington, C., & Dattilio, F. (2010). Meta‐analysis of homework effects in cognitive and behavioral therapy: a replication and extension. Clinical Psychology: Science and Practice, 17(2), 144-156. Elliott, R. (2011). Qualitative methods for studying psychotherapy change processes. In Qualitative research methods in mental health & psychotherapy: A Guide for Students and Practitioners. Wiley-Blackwell. Thought diary. Use this as a first step before completing a full thought record. It helps you practice identifying situations that trigger difficult feelings and what thoughts are associated with those feelings. You can use my electronic form here or downlaod a WORD version here. The full 7 column thought record we will use later in therapy is below. 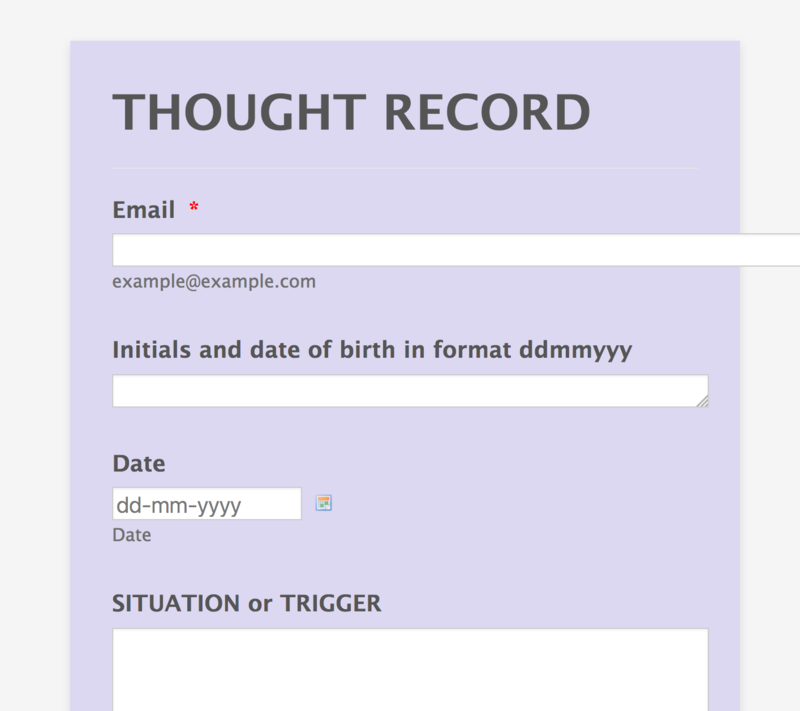 If you prefer to complete your Thought record on a PDF then you can download one here. This PDF won't allow you to edit it, but the handy aspect of it is that it has prompt questions if you get stuck. Compassionate thought record. Use this version for a different way of looking at your thought processes from a compassionate perspective. Rather than going through the evidence, it encourages you to consider the costs and benefits of thinking this way. The Compassionate Mind Foundation led by Prof Paul Gilbert has a fantastic website with resources. www.compassionatemind.co.uk. Kristin Neff is another major name in this field and has some great audio downloads and practices. Getselfhelp.co.uk also has some nice handouts and worklsheets. The Compassionate Mind model, including information about our 'Tricky brains', and the 'The Three Affect Regulation Systems' can be found here. Defusing techniques such as STOP - Stop Step Back and Observe. Click here to read more. I have set up a facebook group for therapists working online UK Online Psychology and Counselling. There is a wealth of information and tips on there. 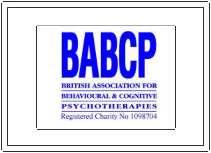 For the UK context there are to my knowledge only the BACP and BPS ones. The American Psychological Association have produced what I think are the best ones with the most detail. 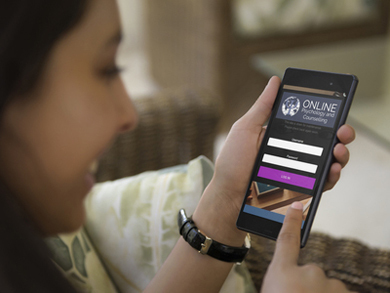 The Association of Counselling and Therapy Online provide details of where to get extra training in online working. 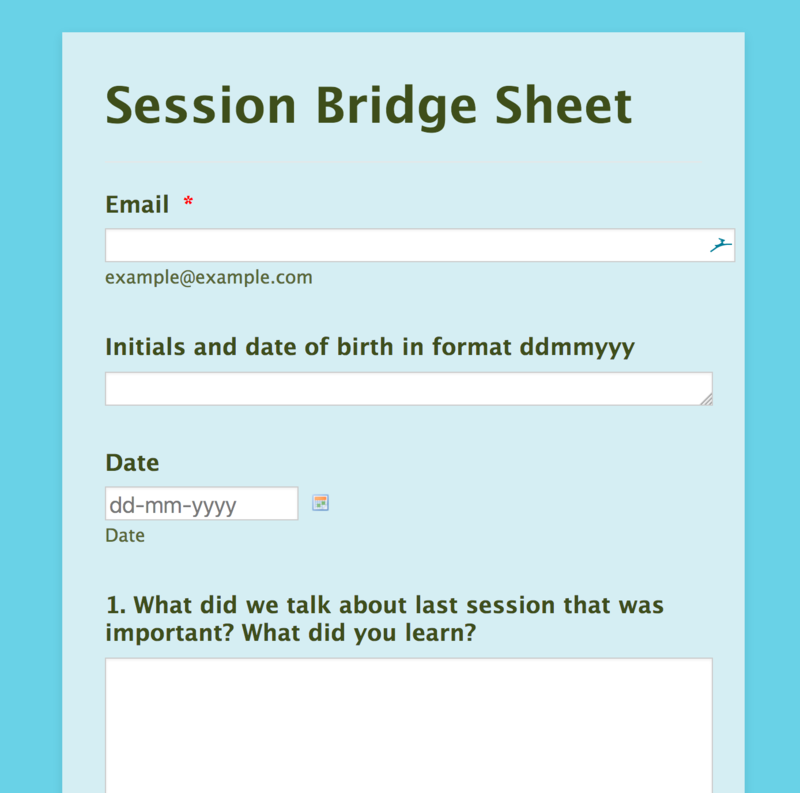 Please note that when you complete the forms above (Thought Record, Session Brdige Sheet, Helpful Aspects of Therapy Forms, Activity Schedule and Client Details Form). I will get a copy which I will forward on to you. If you a member of the public and not one of my patients then you need to bear in mind that I will not be able to forward on a copy of your answers. 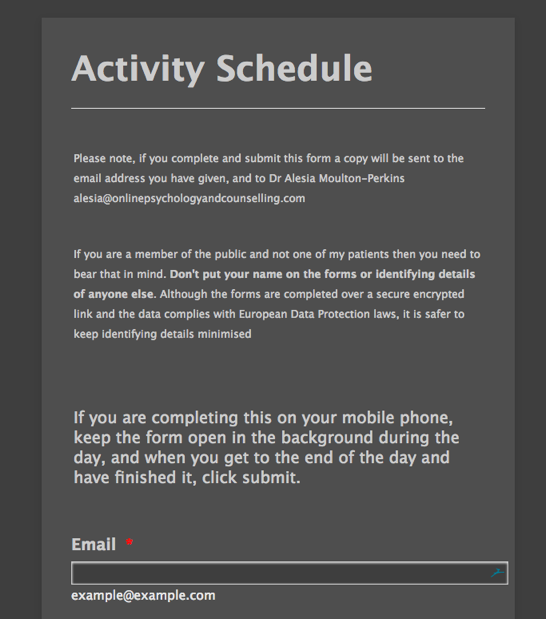 So while you are welcome to look at the forms i would not advise that you actually submit your information. All forms are end-to-end encrypted and data housed in the EU and therefore should be safe to submit data through. Nonetheless, you use the form at your own risk as I cannot guarantee the 100% saftety of data transmission.